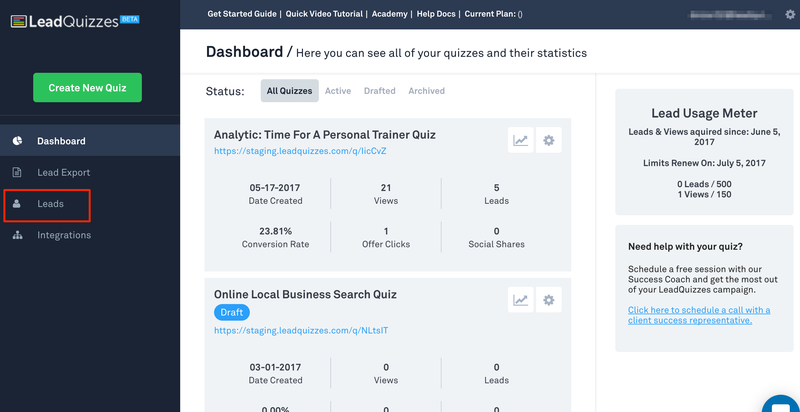 How Can I Email My Leads From LeadQuizzes? Login to your LeadQuizzes account. Navigate to "Leads" on the lefthand side. 3. 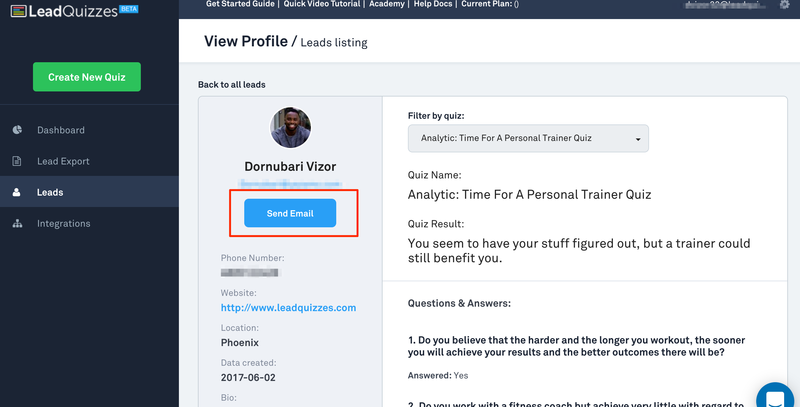 Click on "View Profile" for the lead you would like to email. 4. 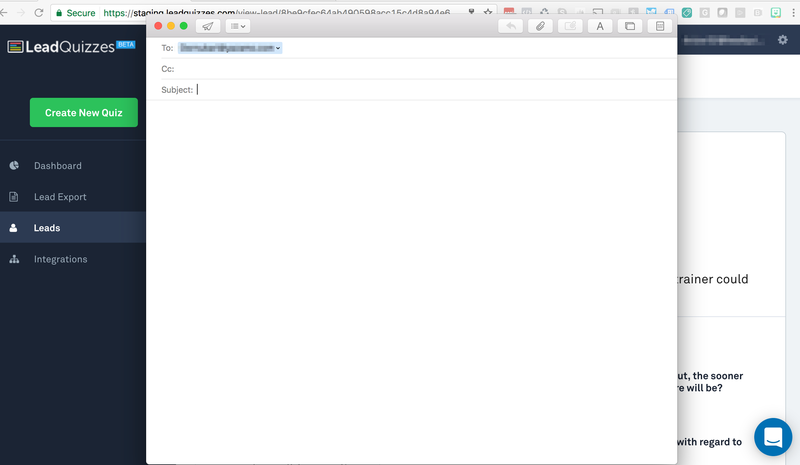 Click on "Send Email" and a new email will open for you to draft and send.